Read our blog where we post recents news in developments in the personal injury and car and auto accidents law in North Carolina. Learn interesting facts and legal concepts that will help you in your daily life. IIHS (Insurance Institute for Highway Safety) conducts vehicle tests to determine crashworthiness — how well a vehicle protects its occupants in a crash. It also rates vehicles for front crash prevention, systems that warn the driver or brake automatically to avoid or mitigate a frontal collision. The vehicles that perform best in the tests qualify for TOP SAFETY PICK. After heart disease and cancer, medical errors kill more Americans than anything else, claiming a quarter of a million lives a year, according to a study by researchers at Johns Hopkins University. If bungles and safety lapses in the hospital were accounted for as deaths from disease and injury are, they would be the third most common cause of death in the U.S., leading to more fatalities than respiratory disease, the report in the British Medical Journal argues. Medical error is a broad label. It could include delivering the wrong drug, misreading a patient's chart, or operating on the wrong organ. A famous report by the Institute of Medicine in 1999 alerted America to the toll, estimating that medical errors killed between 44,000 and 98,000 people a year. Even at the low end of that range, they would have been the eighth leading cause of death at the time, more deadly in the late 1990s than car crashes, breast cancer, or AIDS. Since that landmark report was published, U.S. hospitals, doctors, insurers, and regulators have taken halting steps to improve the safety of medicine. It's an ongoing, decades-long effort to make health care more like aviation, a high-risk environment where safety is paramount, systems are designed to prevent mistakes, and fatalities are rare. The new estimate, published today, draws on four studies of deaths due to errors that have come out since the 1999 report. The authors extrapolate from those findings to reach their estimate of 251,000 annual deaths. Even that figure, they say, probably underestimates the actual toll, because it includes only deaths in hospitals, not in out-patient surgery centers, nursing homes, or other health care settings. That doesn't mean deaths from medical errors have increased since the 1990s. Because different methodologies were used to come up with the numbers, it's hard to say what the trend looks like. The American Hospital Association said in an emailed statement that while "one incident is too many," the industry has made progress. The group cited federal dataindicating that one type of patient harm, hospital-acquired infections, dropped by 17 percent between 2010 and 2014. But the problem may well be undercounting, as the researchers warn, not overcounting. Public health authorities routinely tally deaths from diseases such as lung cancer and injuries such as auto crashes and drownings. They use that data to craft interventions—policies to discourage smoking or safety standards for cars and pools. There is no equivalent data for deaths from medical errors. Researchers can try to estimate the incidence, but they don't have precise tallies that show trends over time. As a means of recording reliable data, the authors of the BMJ study call for a space on death certificates where doctors can indicate that a medical error contributed to the death. It may seem far-fetched to ask doctors to report their own mistakes, but at least one attempt to collect that information had high response rates and found that 5 percent of deaths may have been preventable. At Brigham and Women's Hospital in Boston, staff are even blogging about case studies of medical mistakes and the hospital's attempts to prevent them from happening again. Perhaps because doctors and hospitals would worry that admitting errors might invite lawsuits, the Johns Hopkins authors alternatively suggest a system in which hospitals can investigate whether errors contributed to a death, assured that "data acquired for quality improvement is not discoverable" in court. The need for better data is clear. "Measuring the consequences of medical care on patient outcomes is an important prerequisite to creating a culture of learning from our mistakes," the authors write. The garage is a tight space and maybe your family fits three cars in a space designed for two. Maybe mom or dad left his or her car in the driveway and you don't notice it as you are backing out. Your liability insurance won't cover these types of damages. Yikes! In fact, liability insurance only covers damages to another individual's property. So, even if you have two different and distinct insurance policies for each of the vehicles, you still can't file it under liability. Instead, what you can do is use your collision coverage (the same coverage you use if you hit an animal). If the cars are under the same policy, one or both deductibles may be waived, and your cars will be repaired. Perhaps you come home late one night exhausted, and, although you swear you opened the garage door earlier, you accidentally run your car through your garage door. Your first reaction will be one of shock. Your second will be one of fear as you think of how you could possibly pay for another garage door. Unfortunately, your car insurance, specifically your collision coverage, will only cover for damages to the vehicle as a result of the accident. If you want to replace or repair the garage door, you will have to go through your homeowner's policy for coverage. What about if you, absentmindedly, slam the car door on your foot or your hand? What about if, as you are working on the hood of your car, a tree branch falls causing the hood to fall on you. In both of these scenarios, the owner of the car may be seriously injured with a strong likelihood of continued and lasting pain. If you have extended your general liability insurance to include Personal Injury Protection (PIP Insurance) or Medical Payments Coverage, then you may be in luck. PIP and Medical Payments coverage works as a more comprehensive MedPay insurance and is often called the "no-fault insurance." As a result, you may be entitled to have your hospital bill and other related medical expenses covered by your auto insurance carrier. Finally, what if you park your car on the slope of a hill and forget to put on the parking brake. While you go on about your business, the car begins its descent and finds a resting position only after running over the neighbor's bushes. What then? Your car will be covered, once again, under the collision coverage while the bushes can be fixed up thanks to the property damage liability insurance. Your car insurance covers more than you would expect, providing you have the correct coverage! North Carolina only requires that drivers have liability insurance and uninsured coverage, but the other types of insurance surely come in handy in different scenarios. Check out our newsletter on the benefits of UIM or UM Insurance for more information! We at Semirog Law Firm, pllc hope that everyone has had a restful holiday season and wish a very Happy New Year to all! Firstly, if you remember this article, you’ll have been exposed to the interesting law banning foul language on the roadways, except for two counties in North Carolina. House Bill 765 repeals G.S. 14-197 so that drivers may now use “profane and indecent language on public highways” without the threat of a misdemeanor. With Senate Bill 621, the Division of Motor Vehicles is going green as, with the driver’s consent, it may now send notification of fees or renewal via e-mail. Hopefully it won’t be marked as spam! House Bill 97 will satisfy your inquiries about the funding of governmental agencies and agents in 2016. We see a general trend developing: increased fees in governmental agencies, which includes the court system and Division of Motor Vehicles. Senate Bill 20 actually lowers the motor fuel tax from 36¢ to 35¢ for the first half of the year and again to 34¢ after July. Although the New Year brings about a whole slew of changes across the board, these changes are usually not relevant to your driving conduct. Be sure to check out the other modifications to Firearm Laws or even voting for the upcoming election. Make it your resolution to read up and stay informed. In this exciting Newsletter, we will take a look at the North Carolina Department of Insurance (NCDOI)'s Safe Driver Incentive Plan. The goal of this program is to "give drivers a financial incentive to practice safe driving habits." In reality, the NCDOI is punishing bad drivers and putting it into strict monetary terms that anyone can understand. This point system should not be confused with the Department of Motor Vehicle (DMV)'s point system (found on page 29 of the NCDMV Driver's Handbook, the accumulation of which can result in a license suspension. The Safe Driver Incentive Plan specifically deals with insurance rates and convictions of certain offenses can increase your insurance by 30% or even up to 340%. You can see a striking example in an article we published in June of 2013; the program has not changed much since then. When you go to apply for coverage or to renew your insurance policy, the company takes into consideration the past three (3) years, or the "Experience Period." The bill goes on to further specify that the autocycle is to be treated much more like a regular car than a motorcycle. You will need a regular driver's license to operate an autocycle (though you can't take the driving test in one) and it must meet much of the same safety regulations as motor vehicles do currently. This bill is more or less a mirror of a recent federal document entitled the Autocycle Safety Act, introduced in the Senate in March. Next, the Senate introduced Bill 541 which regulates "Transportation Network Companies" and their relationship with the long-established taxi services already provided. 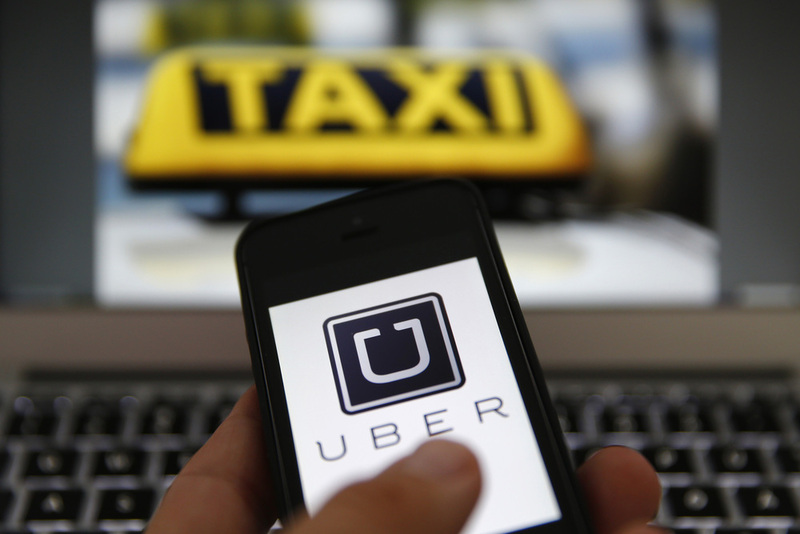 This bill likely grew out of the growing concerns of taxi companies upon seeing the rise of businesses like Uber. The bill has two major components: financial responsibility and safety. New regulations govern these transportation network companies making sure that passengers are safe, drivers are capable, and, in the event of an accident, all parties can recover adequately. In addition to these smaller changes, Bill 97 introduces a new section 20-88.03 that imposes a late registration fee. The above-mentioned fees and others related to motor vehicles are to be adjusted again in 2020 and every four years afterwards. Senate Bill 90, a much smaller document, clarifies that motor vehicles must have two stop lamps (previously "brake lights"), one on each side. Presumably, some cheeky person found a loophole and, taking advantage of the ambiguity, produced a car with stop lamps on one side of the car, clearly with reduced safety. House Bill 102 enlarges the "Move-Over Law," which requires that drivers move over for stopped emergency and law enforcement vehicles. It now includes vehicles used "in the collection of refuse, solid waste, or recycling." Not moving over is considered negligence per se. House Bill 229, while making several statutes gender neutral, allows people with a limited driving privilege to drive to his or her place of religious worship. The bills we mention today pertain to your experiences on the roadways, but Senators and Legislators in general have been busy codifying practice and amending previous statutes across the board. Be sure to check back here for the most current automobile related legislation updates. Anytime you are driving, you are at risk for a motor vehicle accident. Fortune doesn't protect you once you cross the state boundaries, so it is important to know how to handle your out-of-town accident. Coverage Firstly, you need to check where your policy covers. For example, most policies cover accidents that occur in all of the United States (including those territories that belong to the US). Depending on the policy, it may cover accidents in North America, that is to say Mexico and Canada. Unfortunately, most limit it to the former. Adjuster Assuming that your accident occurs in the United States, the process is much the same: file an insurance claim against the at-fault policy holder. The insurance adjuster will either be from your hometown or from the accident location, depending on the circumstances. Big insurance companies prefer the latter because adjusters are more familiar with where they live and the laws that govern. Repairs Your car may have sustained serious property damage and therefore it will need repairs and possibly towing. Your choices are to tow to the nearest facility and repair the vehicle out-of-town or to tow your car all the way back home, however far that may be. An insurance company cannot tell you to go to a specific repair service and the amount they pay cannot be influenced for not choosing an "approved" repairman. Towing If you plan to go back home for repairs, be prepared to fight for your towing bill. Insurance companies consider "reasonable" expenses, so they may only want to pay a portion of the bill. You are entitled to recover a reasonable amount, and according to us, that means all of it! Counsel Finally, you must consider the laws of whichever state or country you were in at the time of the accident. This is why you need an attorney familiar with the laws of the State where misfortune struck. When in doubt, your local attorney Serge Semirog will always be happy to help! If you are an out-of-state driver coming through Charlotte, or a Charlottean out-of-state with an unexpected accident, give us a call: 704-759-6110.